When I moved to the USA 15 years back, it was not only difficult but almost impossible to find choices for good fast food chain. Although a couple was there, it was not as widely known as today. But now from a couple of years ago, thanks to the food entrepreneurs and nutrition enthusiasts, you have the choice for healthy fast food chains. Recently we visited Fresii in Westport. The name says it all..is not it? The whole new take on good and real food, offbeat entering Fressii itself give you great vibe. 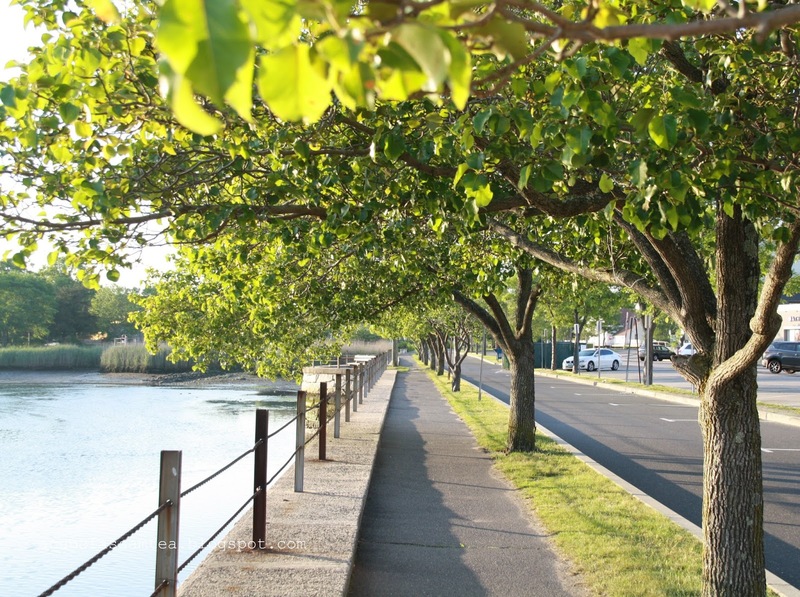 Located in the prime location with excellent shopping options and just a walk away from Saugatuck River, ivory walls and fresh green interior apparently makes you feel fresh. We started our day with a few drinks, precisely juices. 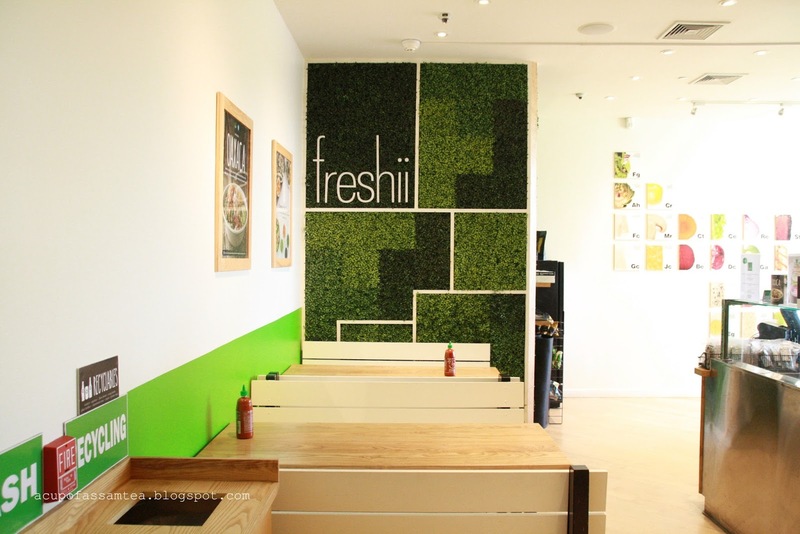 Freshii menu consists Wraps and salads, burritos and bowls, soups and smoothies all healthy assortments. 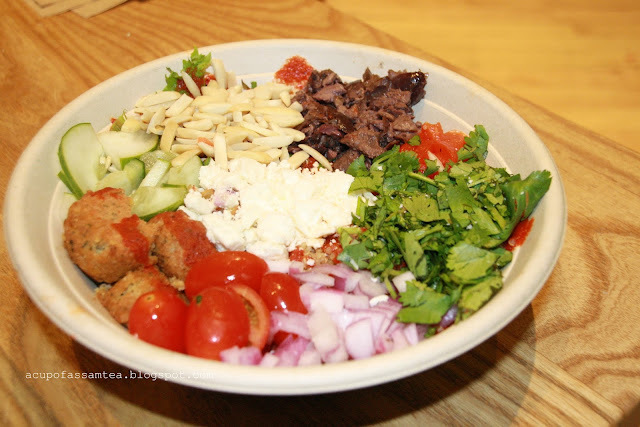 I went ahead for Mediterranean bowl -quinoa and field greens, feta cheese, kalamata olives, almonds, red onions, cucumber, roasted red peppers, tomatoes, cilantro, red pepper sauce and you have choices for adding extras like meat, chicken, shrimp or falafel. I added falafel to my bowl. 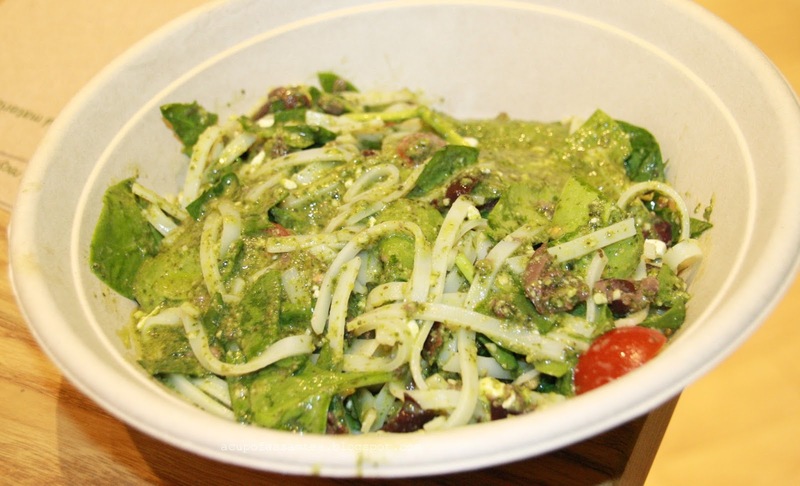 The great part of Freshii is you can customize it as per your taste and make it fun for you. I love that they added crunchy almond, it just goes so really well with the whole Mediterranean theme. You are eating healthy food yet at the same time no compromising on taste, Fresii food taste says it all. My husband got Buddha Satay -rice noodles, broccoli, carrots, cabbage, crispy wontons, green onions, spicy peanut sauce. It was quite scrumptious. Admittedly a very innovative take. I was hitched by the playfulness of the menu, the way how spicy sauce blends with rice noodles like American take blends with the Asian take. It is little expensive, has great portion sizes but worth paying for the freshness for sure. I fell refreshed and surely worth visit next. Freshii is a huge chain here in Chicago. Just know that they're really bad with allergies and/or special diets. My wife is allergic to dairy and was given something she was promised was vegan. One hospital trip and near death experience later... I won't eat there. But if you're not looking for allergies, just to eat healthy, they're great! Hi Danielle , very sorry to hear that. Thanks for sharing.